"Natural Saw-Tooth $50 Currency Band" product is already in your cart. Organize your bank deposits by simplifying your bill counting experience. 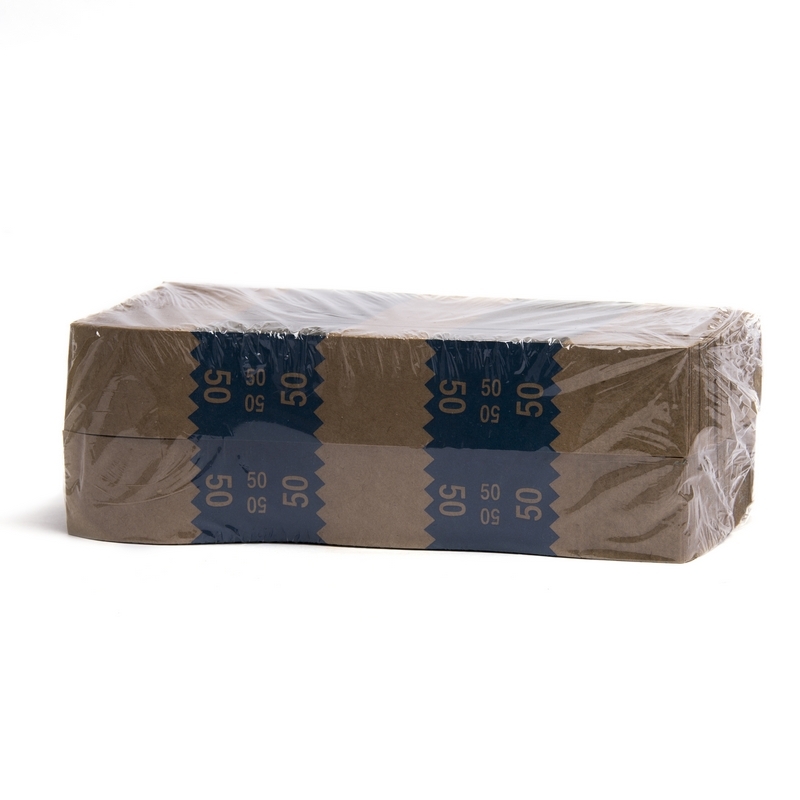 Bands are 7 1/2'' long and 1 1/4'' wide with 1 1/2'' of adhesive on each end to allow of a varying quantities of bills. The adhesive found on both ends of the band allows for multiple closures while maintaining a secure bond. 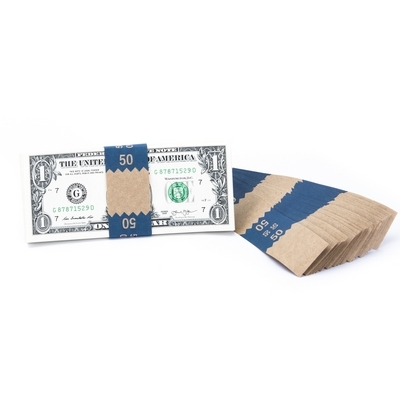 Made from 100% recyclable natural brown Kraft paper these currency bands are brightly colored with a saw-tooth pattern using common bank standard colors for quick color identification. Available in single denomination as well as grouped denomination sets, look for our band sets to find the set that fits your specific needs.